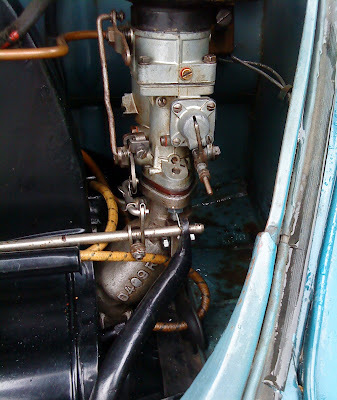 Time was short before Hessisch and I didn't have enough time to finnish this engine. I worked soo hard and still had to leave the car at home. I probably sounded like a grumpy old fool on the way down to HO in Knechtens car. Sorry about that Knechten! Well, now at last, its roadworthy and I am happy to bring it to its first meeting - SCC - the best vw meeting in Norway!! I am still in need for one more Knecht cyclone filter before i get rid of those ugly oilbath cleaners. Anyone? I might know of a guy in denmark having a filter, but he is very well aware what it is, should I giwe a call and ask for the price? I may soon have a cyclone air filter. If you still need one let me know.